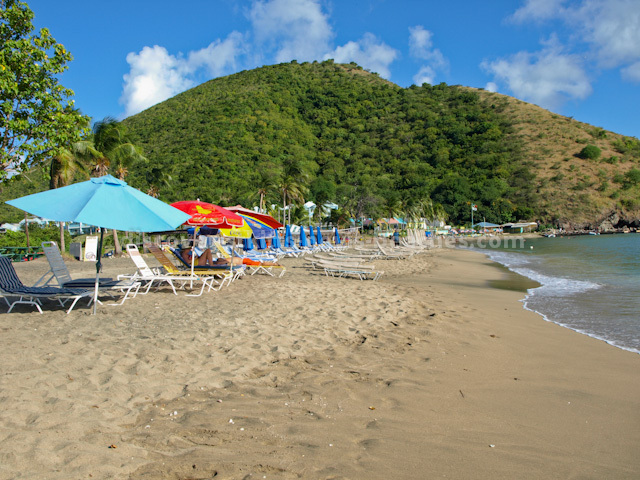 For as long as I can remember, South Frigate Bay was always the best, and I dare say most popular beach outside of those St. Kitts beaches located on the Southeast Peninsula. For the most part the water at this beach is calm, and tranquil as seen in the photo above. Whether it is day or night, no matter the season, there is always something going on at the beach at South Frigate Bay. 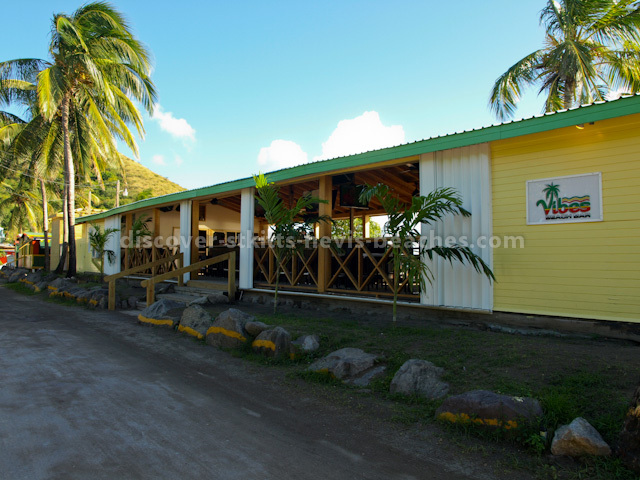 And being located just about three miles from downtown Basseterre, this favourite hot spot is within easy reach, whether you are living here, vacationing at one of the island's accommodations, or just spending the day in port as part of your cruise ship itinerary. Before I tell you what you can expect to find at South Frigate Bay beach, let me say for starters that there are basically two access roads leading to the beach. One road lies on the western side of the Frigate Bay Salt Pond and the other on the eastern side. 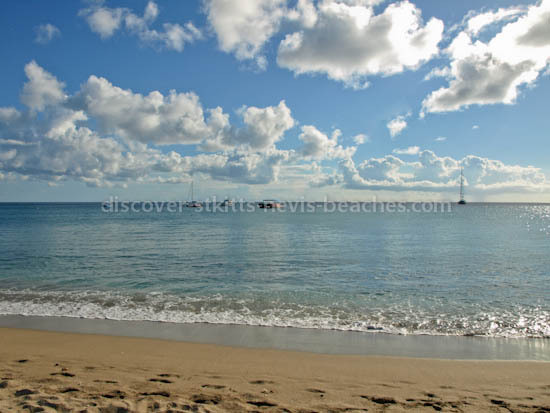 The beach itself is a long stretch of golden sand, running from the base of Sir Timothy's Hill on the eastern end to the base of the hill on the western end, with Horizon Villas perched at the top overlooking South Frigate Bay beach. Sea grape trees and swaying coconut palms dot the landscape along the stretch of the beach. During the day, the calm, blue waters of South Frigate Bay beach provide an escape from the heat of the sun. The swimming at this St. Kitts beach is good, but from time to time, wave patterns and the natural movement of sand may cause changes in the beach at either ends or in the middle. No need to worry though... you will almost always find great spots along the beach to swim, float, sun bathe or just chill out. And just in case you are looking to snorkel at South Frigate Bay beach, the eastern section of the beach, just below Sir Timothy's Hill is a snorkelling spot. 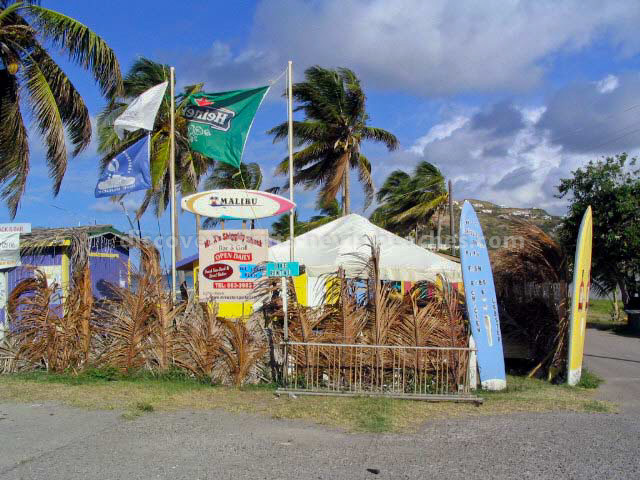 Some water sport activities on offer at this golden sand St. Kitts beach include windsurfing, kayaking, and jet skiing. Beach volleyball is also a popular onshore activity at this beach. What if all this swimming and water sport activities makes you hungry or thirsty? 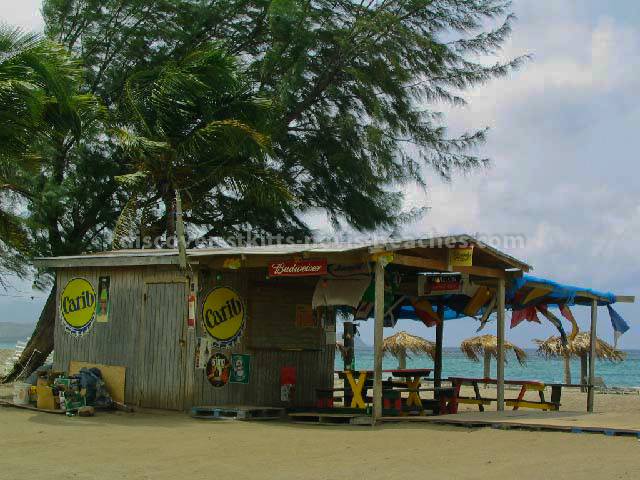 You can always grab a bite and an ice-cold drink from one of the local beach bars. 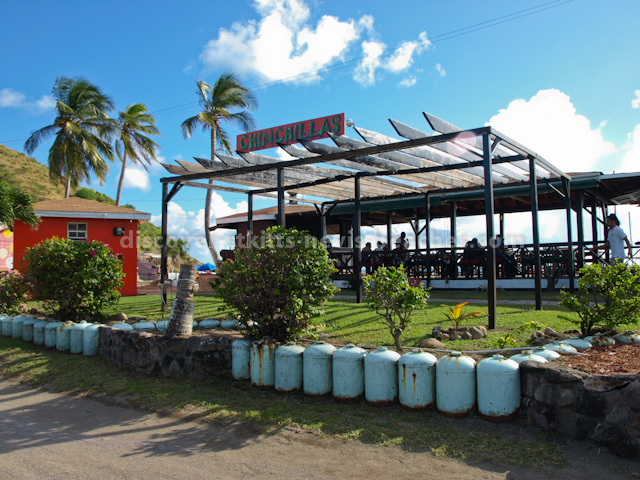 Choose from Mr X Shiggidy Shack, Monkey Bar, Cathy's Beach Bar and Grill on the eastern end, just across the parking lot from Timothy Beach Resort or Inon's, Family and Friends Beach Bar and Grill or Buddies Beach Hut on the western end. 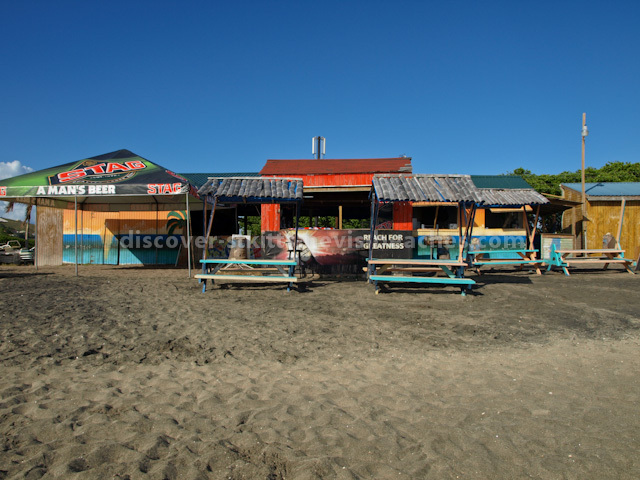 There is also the Sunset Cafe, Timothy Beach Resort's very own tropical beachside cafe and the Dock, the beach bar at Timothy Beach Resort. And if you think that the activities at South Frigate Bay beach come to an end when the sun goes down, think again. In fact, that's when the hot spots on "The Strip" at South Frigate Bay really come alive. Take Mr X Shiggidy Shack Bar and Grill for example. This popular beach bar and grill at South Frigate Bay beach swings into top gear for dinner at evenings, especially Thursdays, Fridays and Saturdays. What's so special about these evenings? Well on Thursdays you can enjoy live music, dancing and a bonfire; on Friday nights it's the Caribbean Buffet; while on Saturdays make sure you tune your voice and get ready to sing along and join in the karaoke fun. Just in case you are wondering, the food (be it chicken, fish, lobster or whatever you may choose) is great every night, and the prices won't leave you broke. 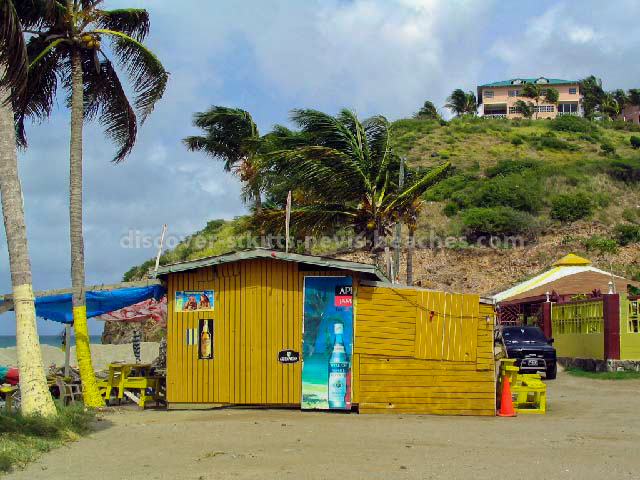 But the after dark action on South Frigate Bay beach doesn't end at Shiggidy Shack. Monkey Bar has a longstanding tradition of being an action spot on this beach. Plus, the seafood restaurant offers you the opportunity to dine while taking in the spectacular sunsets. The Monkey Bar and restaurant also serves lunch. 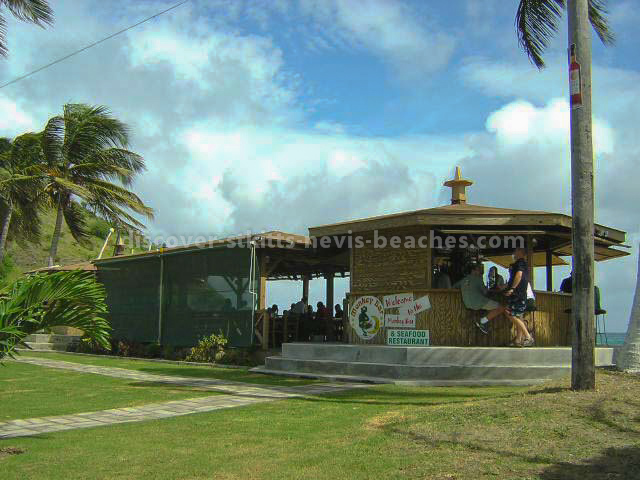 Midway down the beach you will find Patsy's Beach Bar and Grill... formerly Rainbow's Beach Bar a neat hangout spot especially if you want to meet locals including some of the local golfers. 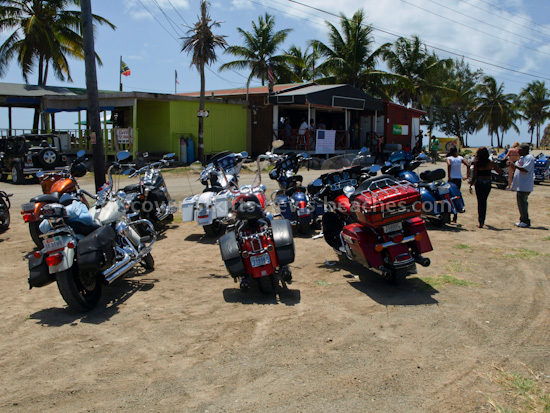 Other beach bars include Cathy's Beach Bar and Grill, Elvis Love Shack, Family and Friends Beach Bar - a local hangout spot for the ETA bikers when they visit on cruises, Inon's Beach Bar and Buddies Beach Hut. 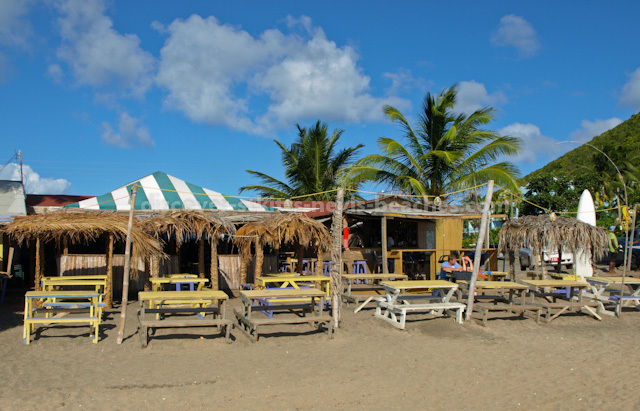 Inon's Bar really rocks this section of the beach and brings it to life, especially on weekends. It is customary for the DJ to pump up the music with his creative mix of the musical genres. The open setting allows for the constant cooling breezes off the ocean to flow through the dance area. 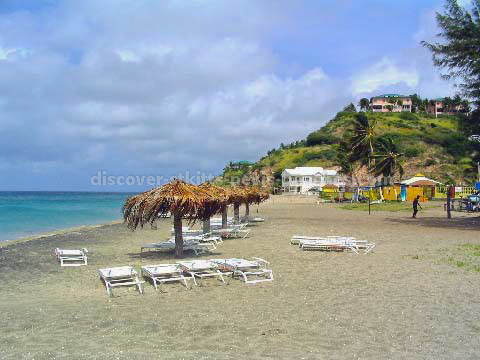 Added to the above, South Frigate Bay is also the favourite St Kitts beach for hosting beach bashes for the St. Kitts Music Festival, tourism week in St. Kitts and St. Kitts Carnival to name a few. 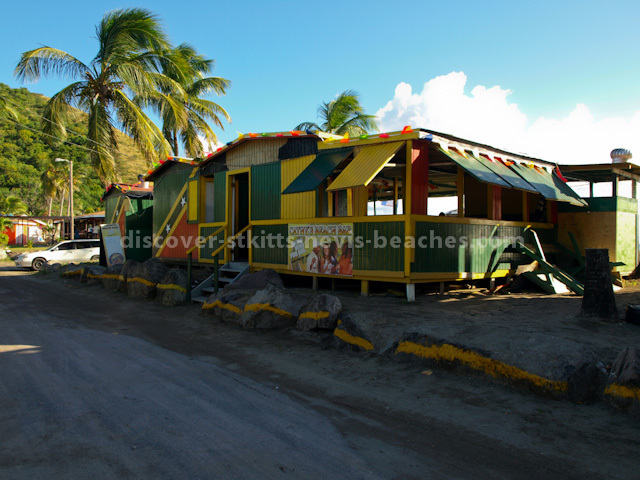 Kim Collins, St. Kitts' Commonwealth Games and World Champion 100m Gold Medal Winner threw a beach bash at this popular St Kitts beach in September 2004 for all his fans and supporters. South Frigate Bay (by Mr X) was also the starting and ending points for the St. Kitts International Triathlon. At this pace I can go on and on talking about life on the beach at South Frigate Bay. But instead of me telling you everything about it as seen through my eyes, you should visit St. Kitts and Nevis, be it by air or via cruise ship, to experience it for yourself. 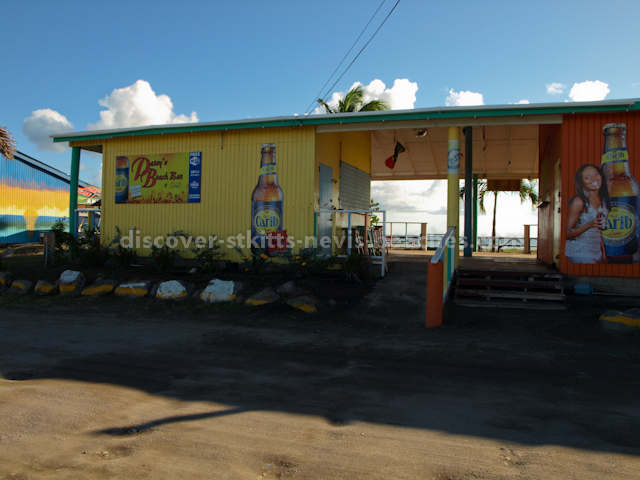 That way not only will you be able to have first hand knowledge about St. Kitts and Nevis, but you will be able to share your reviews with other prospective visitors to St. Kitts and Nevis.